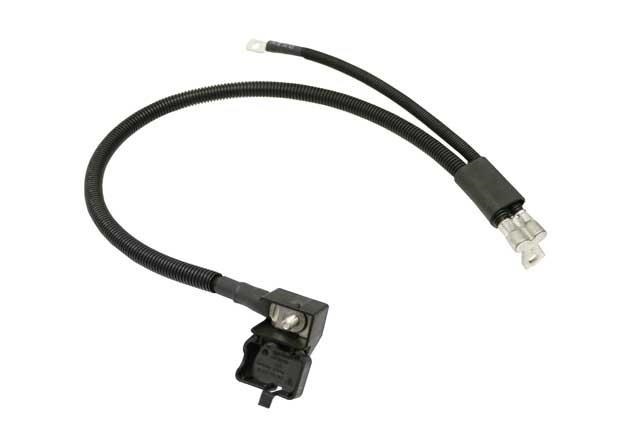 Battery Cable, Positive, Connection Point to Starter/Alternator. 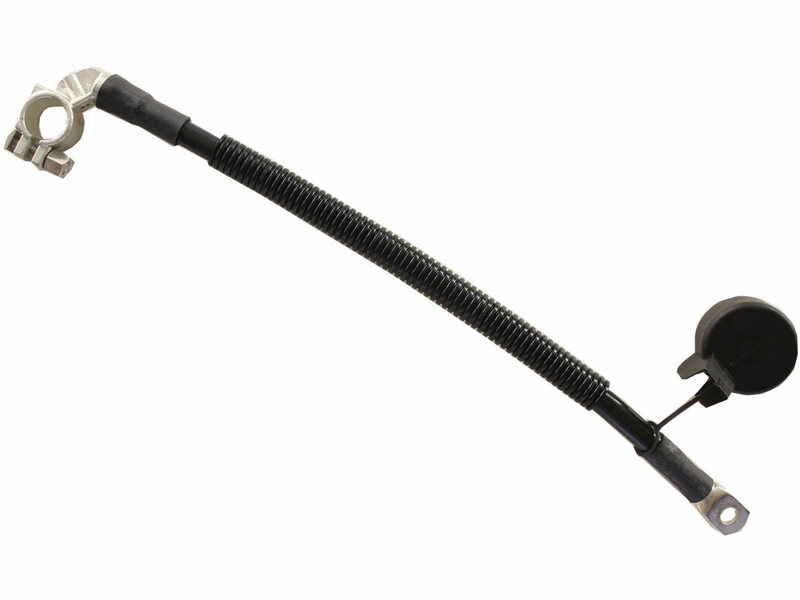 Battery Cable, Positive, Battery to Power Distributor. 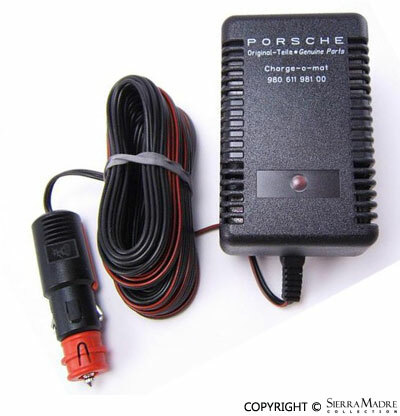 Porsche battery charger and maintainer. Universal battery charger. 120 volt input, 12 volt output. Battery charger, battery tender power tender plus high efficiency. 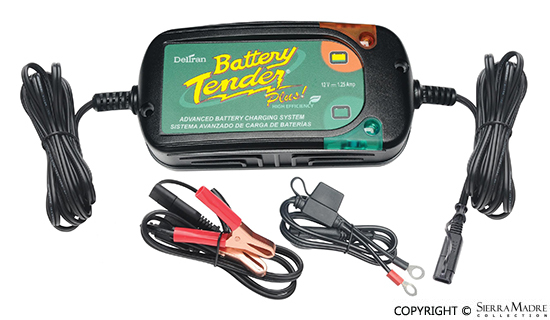 Battery charger, battery tender waterproof 800. 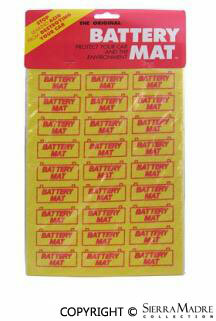 Battery mat for 356, 356A, 356B, 356C, 911 and Speedster. Protect your 356's trunk floor from battery acids. Yellow foaming battery terminal cleaner neutralizes acid and removes corrosive by-products. This cleaner detects acid leaks and turn pink on contact. Battery terminal protector for all years and models. This is 7.5 oz. aerosol can is designed to protect the terminals from corrosion and gives it a lead-free soft coating. 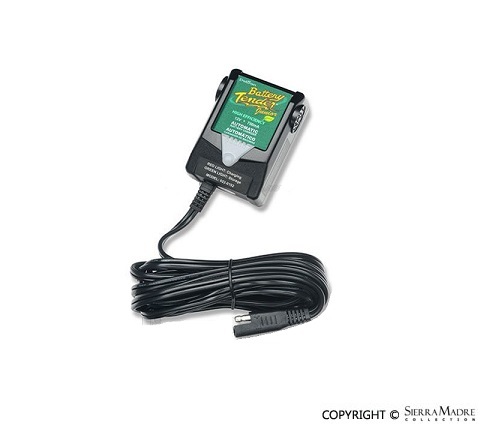 Unique 1 amp manual battery charger maintains both 6 and 12 volt batteries. Great for warming larger batteries in cold weather and features reverse connection protection for safety. Comes with battery clamps and ring connectors for greater charging flexibility.